One of the (many) things that can slow down Nuke scripts is a extensive use of Roto brushes. Nuke does not do any smart cleanup of brushes after you lay them out, and that sadly leads to a ton a redundant roto points, that does nothing but take up space and make your script slower to process and autosave. I also see a lot of people who use the roto brush-strokes extensively for beauty work, one good example being Nathaniel Westveer’s beauty work series on FXPHD. 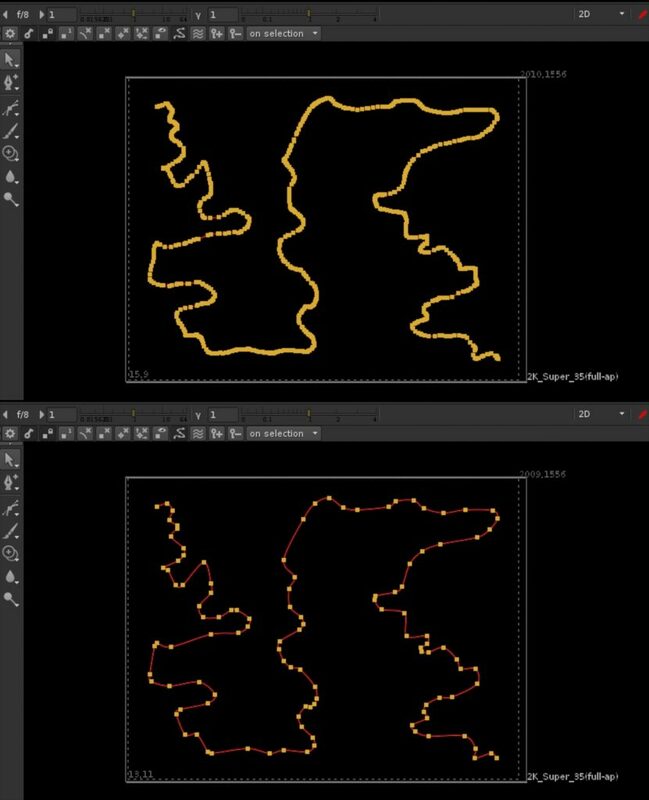 Where he first paint a stoke, then delete 95% of the points to get something that is easy to hand animate. One thing that you should note is that the roto.remove function is sadly quite slow, and when you expand it to hundreds of points it can get somewhat bad. You can optimize this greatly by writing your own function that does not remove one point at a time, but all of the redundant points at once (just re-write the whole shape). ← Nuke feedback loop using Blink memory allocation exploit.